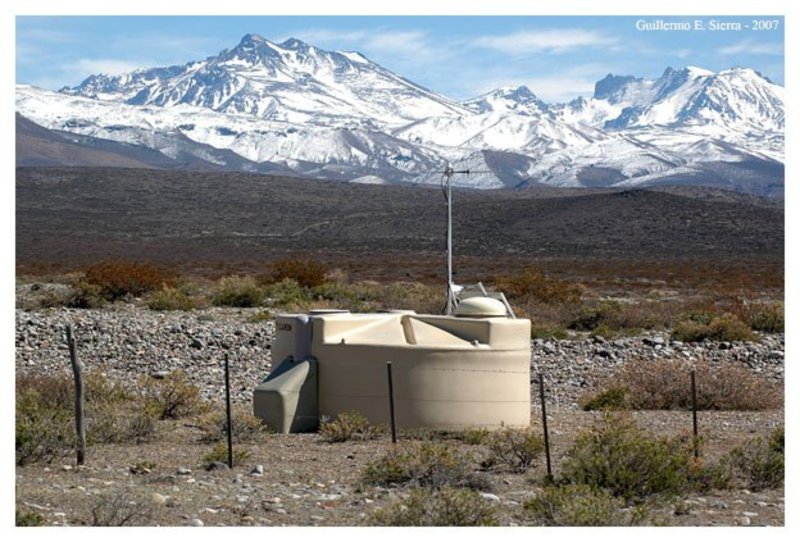 On the vast plain known as the Pampa Amarilla in western Argentina, the Pierre Auger Observatory is studying the highest-energy particles in the Universe, which hit the Earth from all directions, so-called cosmic rays. Cosmic rays with low to moderate energies are well understood, while those with extremely high energies remain highly mysterious. By detecting and studying these rare particles, the Pierre Auger Observatory is tackling the enigmas of their origin and existence. The Auger Observatory is a “hybrid detector”, employing two independent methods to detect and study high-energy cosmic rays. One technique detects high energy particles through their interaction with water placed in surface detector tanks. The other technique tracks the development of air showers by observing ultraviolet light emitted high in the Earth’s atmosphere. The hybrid nature of the Pierre Auger Observatory provides for two independent ways to see cosmic rays. The Astroparticle Physics group at IGFAE led by Prof. Enrique Zas has played a relevant role since its incorporation into the Auger Collaboration in 2002. Among the many contributions of this group, it is worth mentioning the search for ultra-high energy neutrinos and the analysis of inclined showers. Both works have allowed to the collaboration to achieve important science results as those two recently awarded as the Physics World Top Ten Breakthroughs of 2017. 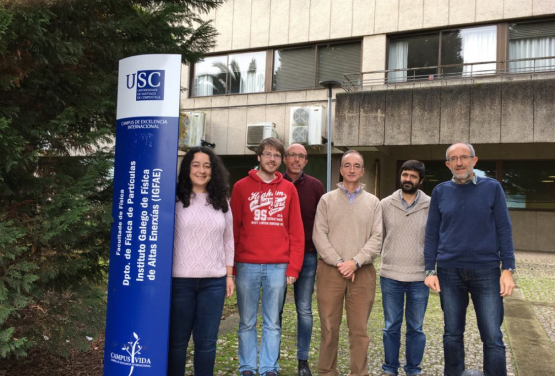 The Astroparticle Physics group is composed of five senior members (Jaime Alvarez-Muñiz, Gonzalo Parente, Inés Valiño, Ricardo Vázquez and Enrique Zas) and three young researches (Aida López Casado, Francisco Pedreira and Guillermo Torralba). The group participates in the Pierre Auger Observatory since 2002 when Spain became a full member of the Pierre Auger Collaboration consisting of more than 400 scientists from 20 countries.